The beautiful peacock window is hand crafted by an experienced artist which in this field from generations. Window measures 12.5" of width, 7" of height and 2.5" of depth with 700gm of weight. Artist have used wood to traditionally craft this excellence piece of art. 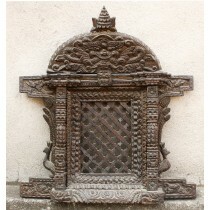 Peacock window is perfect piece for decoration which will attract lot of attraction. Peacock window will give the resemble of Nepal. This beautiful Tiki-jhya is hand carved by an experienced artist which in this field from generations. Window measures 17" of width, 17.5" height and 2" of depth. 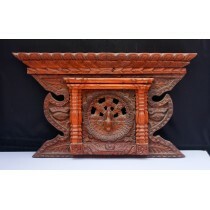 Wood is used to carved this beautiful traditional window.  This window is especially made for decoration purpose in home, office and others. The beautiful peacock window is hand crafted by an experienced artist which in this field from generations. Window measures 14.5" of width, 8" of height and 2.5" of depth with 950 gm of weight. Artist have used wood to traditionally craft this excellence piece of art. 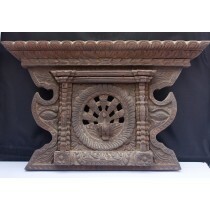 Peacock window is perfect piece for decoration which will attract lot of attraction. Peacock window will give the resemble of Nepal. The statue of Mayadevi measures 3" of width, 9" of height and 3" of depth. Statue is crafted by an experienced artist which in this field from generations. Artist have used copper to craft the statue with beautifully face painted and half gold plated. 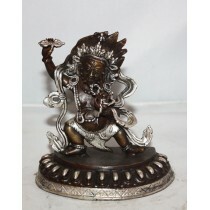 Statue can used for decoration, worshiping and gift items too. The statue of Manjushree is crafted by an highly classed artisan from Nepal which in this field from generations. Statue measures 5" of width with 9" of height. This statue is made with copper and has antique colour which makes it great piece of art. The statue can be used for your shrines/altar and can be used as decorative piece also. The statue of Lokeshwor measures 3.5" of width, 8" of height and 2" of depth. Statue is crafted by an experienced artist which in this field from generations. Artist have used copper to craft the statue with beautifully face painted and half gold plated. 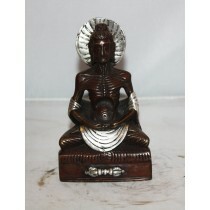 Statue can used for decoration, worshiping and gift items too. The statue of Krishna Radha is crafted by an highly classed artisan from Nepal which in this field from generations. Statue measures 5" of width with 8" of height. This statue is made with copper and has antique colour which makes it great piece of art. The statue can be used for your shrines/altar and can be used as decorative piece also. The statue of Green Tara is crafted by an highly classed artisan from Nepal which in this field from generations. Statue measures 2" of width with 4" of height and 2.5" of depth. Copper is used for crafting this statue with beautifully face painted and half gold plated on it. Statue is very beautiful in nature perfect for decoration, worshiping and gift items too. The statue of Bhagvati is crafted by an highly classed artisan from Nepal which in this field from generations. Statue measures 5" of width with 7" of height. This statue is made with copper and has antique colour which makes it great piece of art. The statue can be used for your shrines/altar and can be used as decorative piece also. The statue of Bajrapani measures the height of 5 inches. Statue is made by an experienced artist which in this field from generations. Statue is made up of Copper with Antique. Whole statue is hand-carved and statues are the traditional handicraft. Statue can be used for decoration and worshiping. The statue of Shakyamuni Buddha measures 4.5" of Width, 8" of Height and 4" of Depth. Statue is made by an experienced artist which in this field from generations. Statue is made up of Copper with Antique. Whole statue is hand-carved and statues are the traditional handicraft. Statue can be used for decoration and worshiping. The statue of Padmashambhav is crafted by an highly classed artisan from Nepal which in this field from generations. Statue measures 3.5" of width with 5.5" of height. This statue is made with copper and has antique colour which makes it great piece of art. The statue can be used for your shrines/altar and can be used as decorative piece also. The statue of Jogini is crafted by an highly classed artisan from Nepal which in this field from generations. Statue measures 3" of width with 5.5" of height. This statue is made with copper and has antique colour which makes it great piece of art. The statue can be used for your shrines/altar and can be used as decorative piece also. 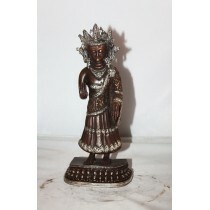 Antique Dipankar Statue 8 inches. The statue of Dipankar measures the height of 5 inches. Statue is made by an experienced artist which in this field from generations. Statue is made up of Copper with Antique. Whole statue is hand-carved and statues are the traditional handicraft. Statue can be used for decoration and worshiping. The statue of Deep Meditating Buddha measures the height of 5 inches. Statue is made by an experienced artist which in this field from generations. Statue is made up of Copper with Antique. Whole statue is hand-carved and statues are the traditional handicraft. Statue can be used for decoration and worshiping. 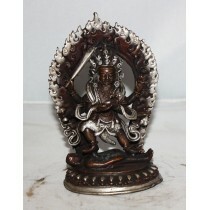 Antique Bhairab Statue 6 inches. The statue of Bhairab measures the height of 5 inches. Statue is made by an experienced artist which in this field from generations. Statue is made up of Copper with Antique. Whole statue is hand-carved and statues are the traditional handicraft. Statue can be used for decoration and worshiping.